Enjoy the good life in this gorgeous former model home located in the peaceful hill country setting at Santa Rita Ranch. Thoughtfully designed, sparing no expense, this highly upgraded home features a bright and open layout with vaulted ceilings, multiple windows, and custom plantation shutters throughout. Beautiful and spacious gourmet kitchen blends traditional and contemporary elements with handsome knotty alder cabinets, sleek stainless steel appliances, and a stylish glass tile backsplash. Please, send me more information on this property: MLS# 2581205 – $425,000 – 109 Norcia Loop, Liberty Hill, TX 78642. 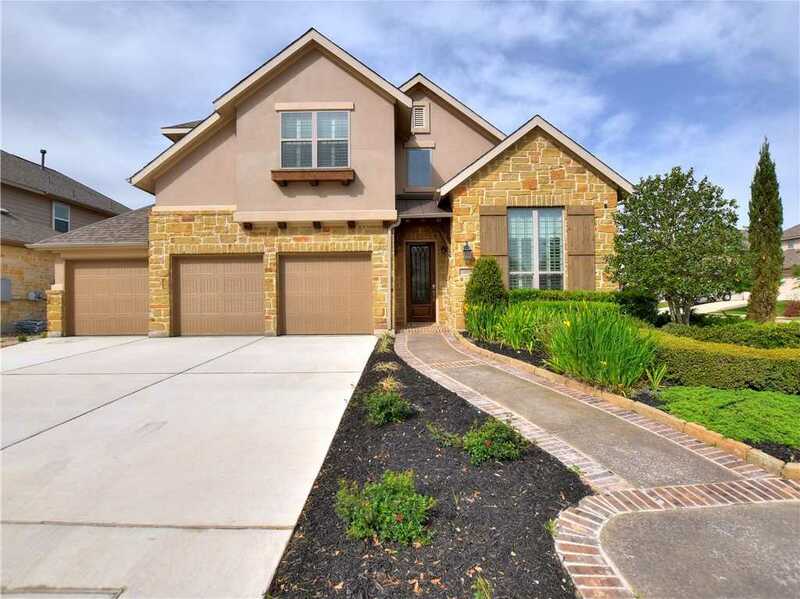 I would like to schedule a private showing for this property: MLS# 2581205 – $425,000 – 109 Norcia Loop, Liberty Hill, TX 78642.